68 registered members (cmoody31, 7uturu, BigIslandGuy, AprilE, Animisha, akc42, ando, apianostudent, 16 invisible), 918 guests, and 4 spiders. 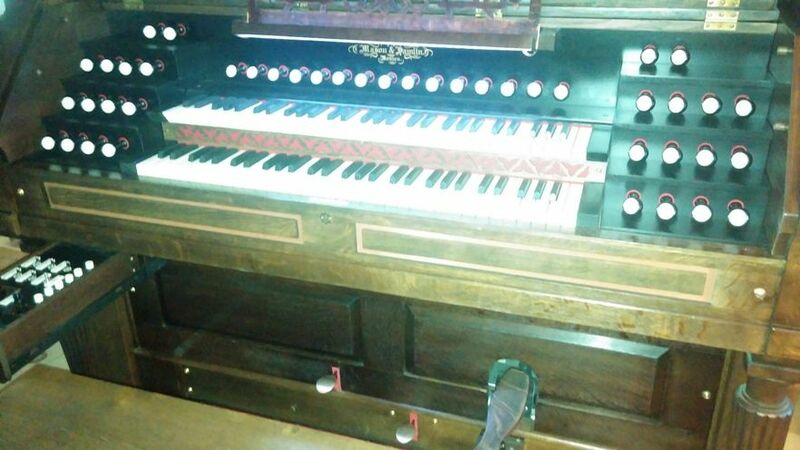 A good friend of ours owns a beautiful 100+ year old Mason & Hamlin reed organ (pump organ). He didn't want to alter the appearance but wanted to get more sound from the instrument. Don is a carpenter and cabinet maker, as well as an expert at restoring historical old houses. He worked with master pipe organ technician Nick Orso of Portland Maine. 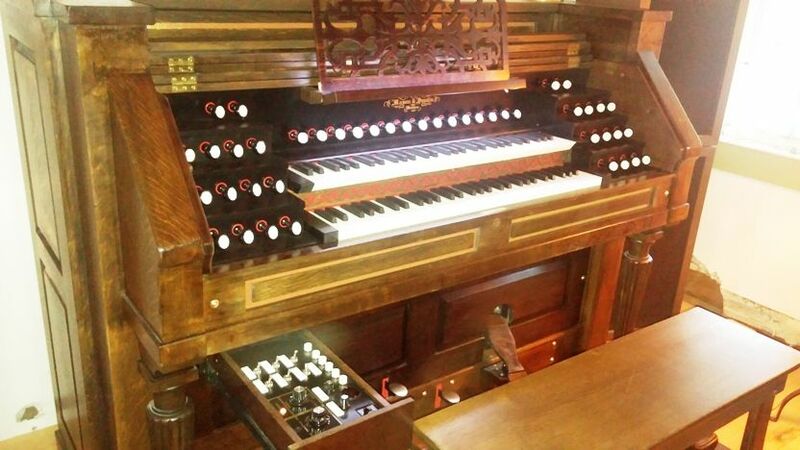 Together they installed an Allen Organ company digital/midi system in the antique reed organ. They even added more stops using parts from another old reed organ. When the control drawer is closed you can't tell anything has been done, other than it has more stops than usual. But when he pulls open the drawer, that's when the magic begins. From this drawer he can pull up any number of incredible voices including full church organ with emulated 32' pedal stops! All of this plays through a massive speaker system designed for this type of sound. It is a one-of-a-kind installation that has to be seen and heard to be appreciated. I had the pleasure of playing it, amazing!